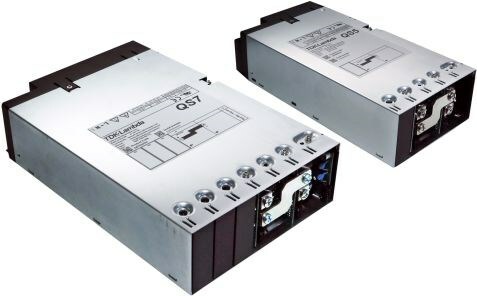 TDK Corporation (TSE 6762) announces the introduction of an 88W rated 24V model to the DRL series of low profile AC-DC DIN rail mount power supplies. The DRL100-24-1/C2 is certified as a Class 2 power supply, in accordance with NEC (per UL1310), and as a Limited Power Source (per UL 60950 clause 2.5 requirements). The unit is also has a Class II construction with double insulation for operation without an earth ground connection. Applications include building automation, security systems, industrial process control, factory automation, and test and measurement equipment. 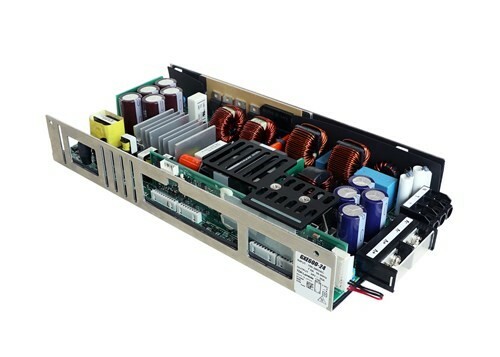 TDK Corporation (TSE 6762) announces the introduction of a 960W rated model to the DRF series of AC-DC DIN rail mount power supplies. The high 95% efficiency produces less internal waste heat enabling electrolytic capacitors to run cooler, providing a calculated life of in excess of eleven years with a 75% load at 230Vac input. The unit can supply a peak load of 1440W (24V 60A) for up to 4 seconds to power capacitive and inductive loads. 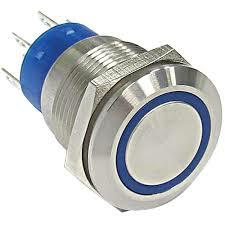 Applications include industrial process control, factory automation, and test and measurement equipment. 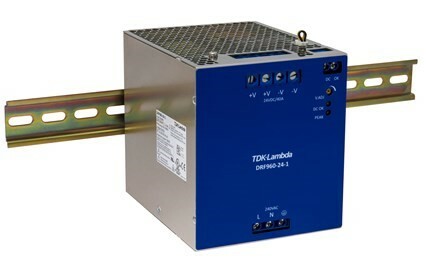 TDK Corporation (TSE 6762) announces the introduction of the TDK-Lambda GXE600 programmable AC-DC power supplies. The convection cooled 600W rated series is certified to the medical IEC 60601-1 and industrial IEC 60950-1 and IEC 62368-1 standards. The GXE600 is suitable for medical, industrial, test and measurement applications requiring wide-range output voltage and current programming, with sensitivity to noise from cooling fans. 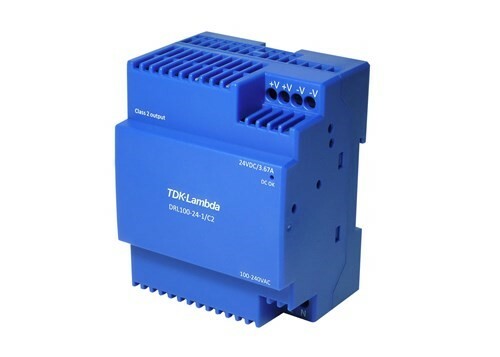 The GXE600 is available with a nominal 24V or 48V output and can be programmed, using the RS-485 interface (Modbus RTU protocol) or an external 0 – 6V analog signal, for constant voltage and constant current (CVCC) operation. The programming range is 20% to 120% for the voltage and 20% to 100% for the current. In addition, the parameters for fault programming (protection level and recovery characteristics) and the slew rate timing can be changed. Remaining electrolytic capacitor life, operating hours and alarm history can be read through the RS-485 interface, aiding remote preventative maintenance. 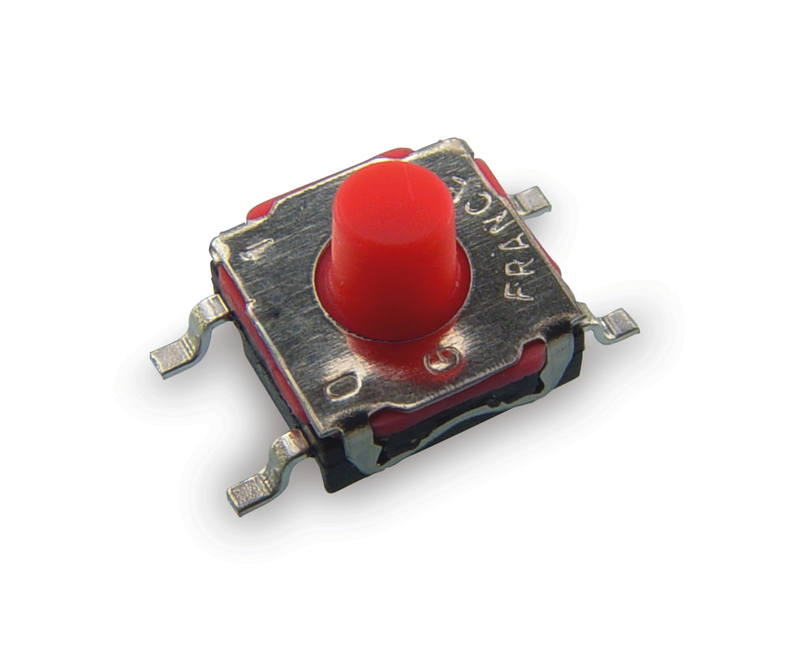 C&K’s ATP19/22 series are high-strength, lightweight metal switches that meet the IP67/IK10 requirements, ensuring their suitability for operation in harsh conditions and the ability to withstand potential malicious damage. Both the ATP19 and ATP22 series are available in momentary or self-lock actuation versions suitable for application versatility. Able to withstand heavy physical abuse, including attempted damage using metal tools, the switches target applications such as control panels in car parks and traffic lights, industrial instruments, elevators, escalators, communication equipment and alarms, safety and security systems. Mill-Max is the leading US manufacturer of machined interconnect components with a vertically integrated manufacturing facility headquartered at 190 Pine Hollow Rd., Oyster Bay, NY 11771. 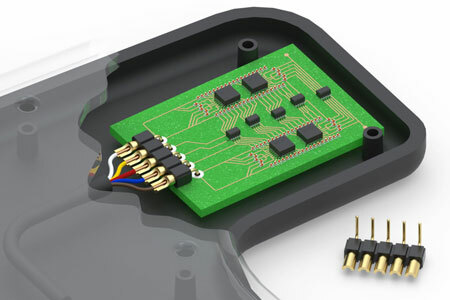 Its full product line includes spring-loaded connectors, SIP, DIP, PGA and BGA sockets, board-to-board interconnects and pin headers, surface mount and custom products, PCB pins and receptacles, solder terminals, wrapost receptacles and terminals. The company’s complete manufacturing facility includes engineering, tooling, primary and secondary machining, stamping, plating, injection molding, and assembly. Control Sales, Inc. is the premier electromechanical manufacturers’ representative serving Northern Illinois, Wisconsin, Minnesota and Iowa. Since 1976, our expertise has been providing engineers with design-in solutions through product knowledge, collaboration, customization, and service. Control Sales offers a comprehensive product line, including world-class brands such as ITT Cannon, Crydom, BEI Sensors, C&K, Mill-Max, Sharp, and TDK Lambda. Our mid to large sized OEM customers in industrial, aerospace, medical, and transportation markets rely on us to help solve design challenges. Control Sales is proud to work closely with leading distributor partners in our territory. 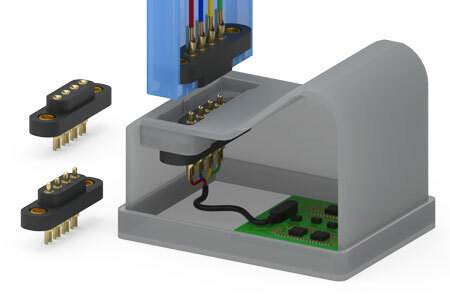 The new 868 series spring loaded and target connectors feature solder-cups to accommodate wire and cable attachment. With flanged insulators and fastening options, these connectors are ideal for mounting into product housings in docking stations, cable terminations, heavy duty quick connects and panel mount equipment. TDK Corporation announces the introduction of the QS series of single output medical and industrial power supplies, rated at 600 to 1200W. These configurable models have full MoPPs (Means of Patient Protection) isolation, low acoustic noise and a range of options including a PMBus communication with a high current standby voltage. With medical and industrial safety certifications, the power supplies are suitable for use in medical, test and measurement, communications and broadcast equipment. New 380-10-1XX-10-003000 series right-angle headers are ideal for situations where space is limited and wires cannot be easily manipulated. 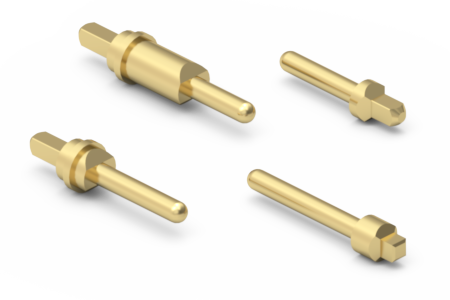 These solder cup headers expedite the soldering process and reduce overall assembly height by eliminating the need to bend wires or cables for in-line connections.